Thyme is a kitchen workhorse, infinitely useful with a wide range of meats and vegetables, and also with both savory and sweet fruit dishes. 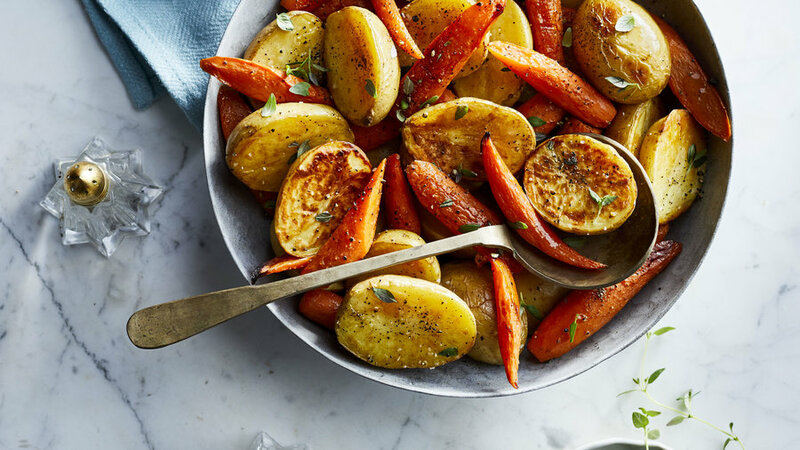 With cooked dishes, try adding thyme at the beginning and then a little more at the end, just before serving to make its flavor pop. 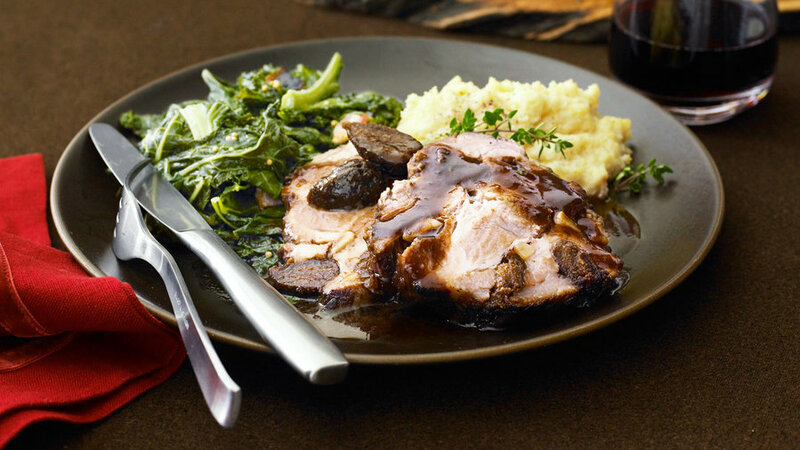 Delicious with cheesy mashed potatoes and a green salad, this slow-cooker dish is special enough for guests, but homey enough for Sunday dinners with the family. 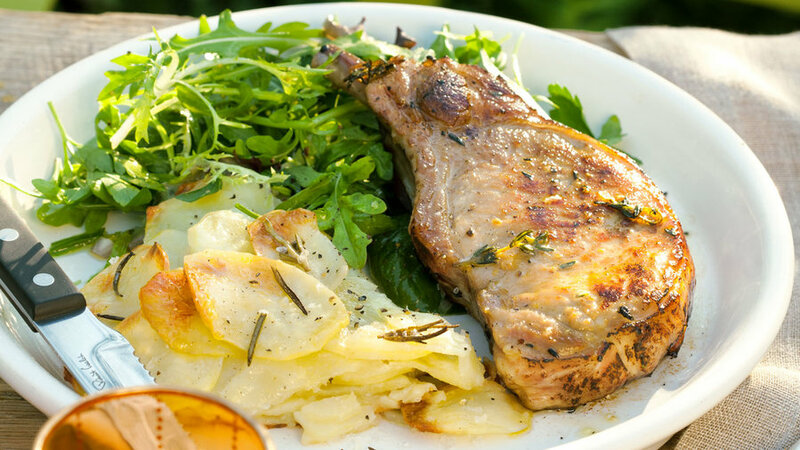 Using a large cast-iron griddle gives the chops an impressively even sear. 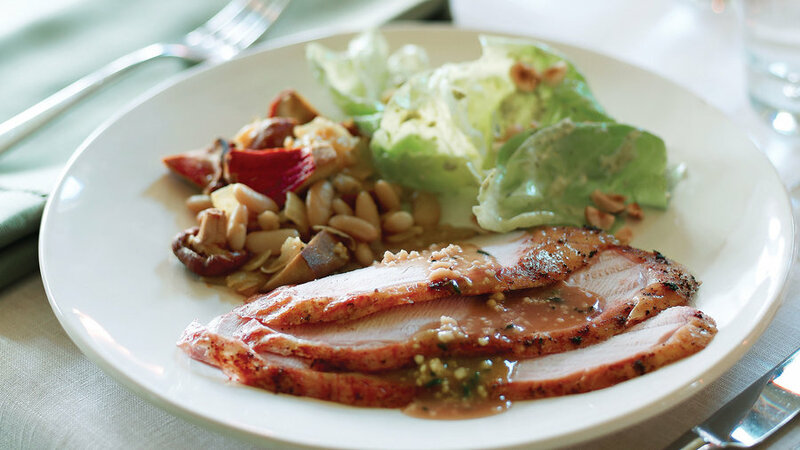 Stuffing this roast with figs and garlic slivers will make you feel like a modern-day Julia Child, and the results are stunning: mosaic-like slices infused with rich fruit and wine flavors. Presalting theThanksgiving turkey―not to mention covering the breast and drumsticks with bacon―adds flavor and helps it stay moist during roasting. 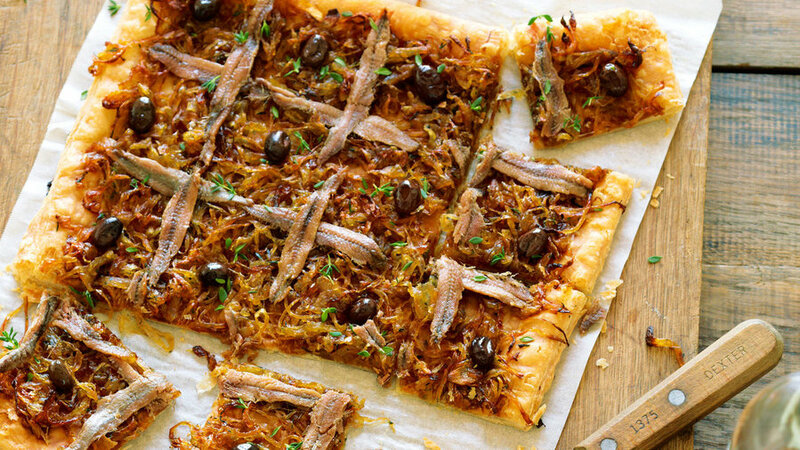 This puff pastry tart makes for an excellent appetizer. 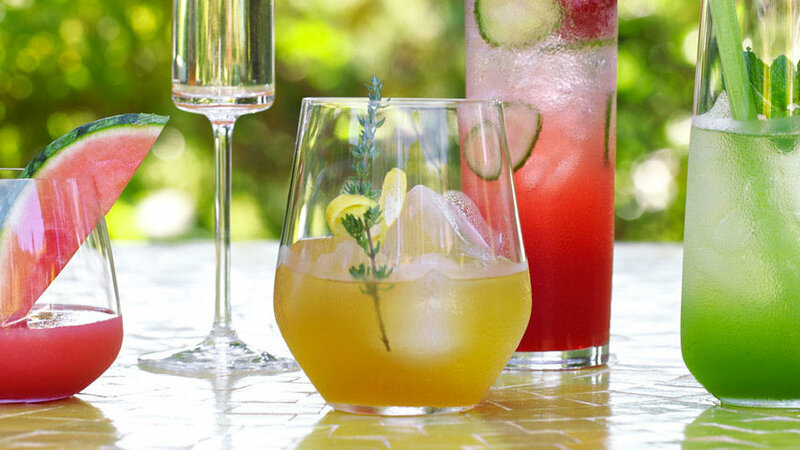 This garden-fresh cocktail makes a delicious pairing of citrus and herbs. 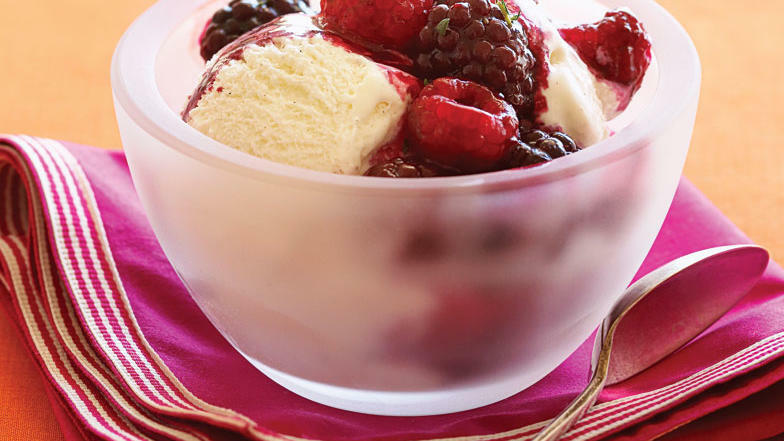 Simple warm fruit with a savory twist turns frozen yogurt into something special.